My son asked over and over to see The Good Dinosaur. Every commercial his eyes would light up, the film couldn’t come fast enough. To no surprise, he loved every minute and each of us were quite pleased as well. Pixar and Walt Disney Pictures deliver yet another fantastic animated film. 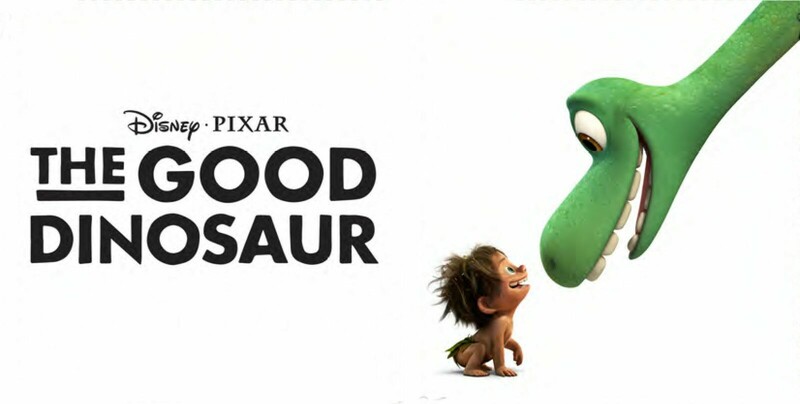 The Good Dinosaur is a treat for the whole family that will continue a legacy of great Disney classics. The very creative story written by Bob Peterson and Enrico Casarosa was unlike any other. An alternate twist in history presented a different take of life on Earth if dinosaurs were not wiped out by an asteroid 65 million years ago. The story shows Dinosaurs roaming, having families and lives of their own similar to humans nowadays, and they are even able to speak. The audience follows young Arlo (Raymond Ochoa) the dinosaur from birth as he strives to make his mark on life. 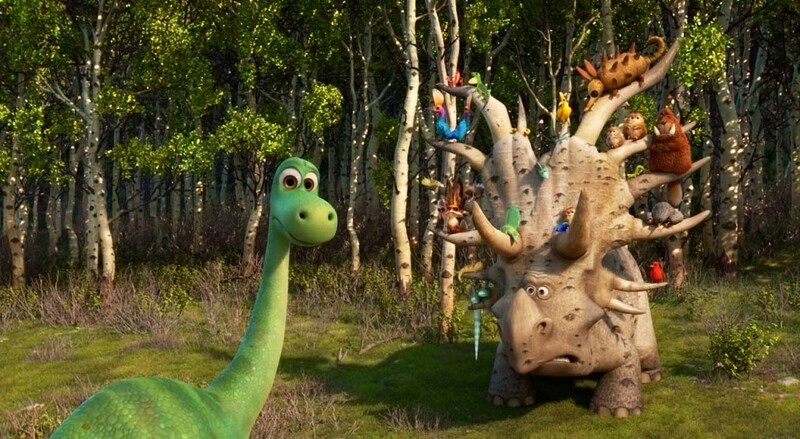 Arlo struggles with inner challenges to be brave like his family. The frightened dino crosses paths with a Neanderthal boy named Spot (Jack Bright). The unlikely pair develop a friendship and embark on an epic journey together. The Good Dinosaur is packed with laughter. The adventure Arlo and Spot take is filled with suspense and thrills. Although the film may not live up to some of the more memorable Disney animations such as, Finding Nemo or Toy Story, it still has a touching story and gorgeous animation. Geared for the youth audience, I myself found this movie to be very entertaining. The film was directed by Peter Sohn who delivers a masterpiece with good music composed by Mychael Danna and Jeff Danna. I strongly recommend taking your whole family to see The Good Dinosaur. The film will leave a wonderful lasting impression on everyone. A must see and piece for your Disney collection for years to come.